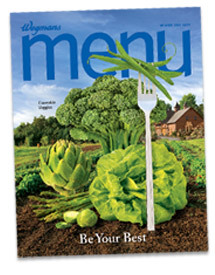 If you have been to Wegmans recently you will notice that there is a big emphasis on veggies. 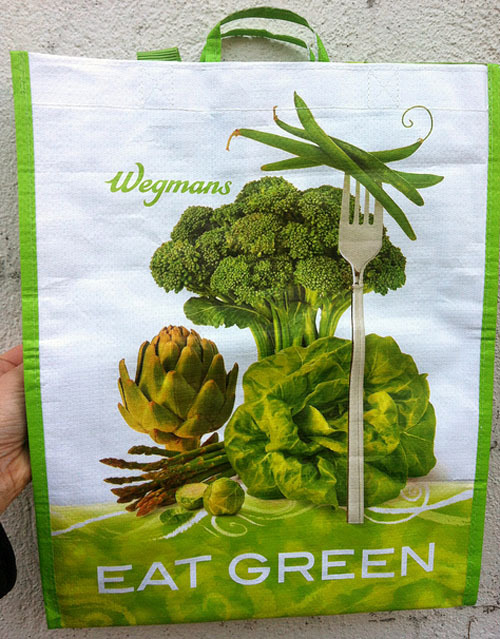 They even have a new reusable bag with a veggie design as seen on their last Menu magazine cover. I am guessing there will be other bags coming out. Collect all four! 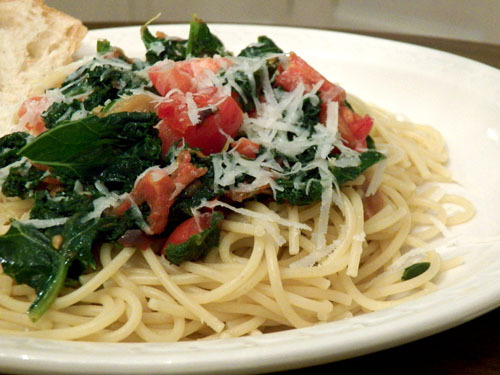 With this focus on veggies, Aaron has been bringing his work home with him and we have been trying new veggie recipes at home like this Pasta with Garlic and Kale. 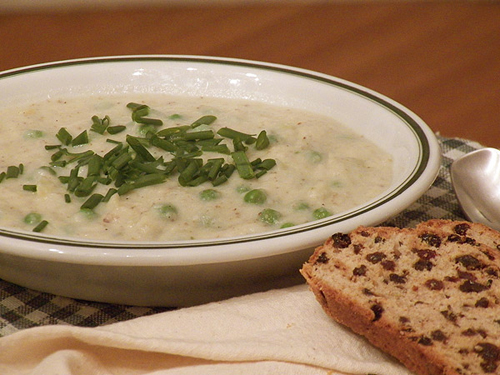 And this cabbage soup. Lucky me!